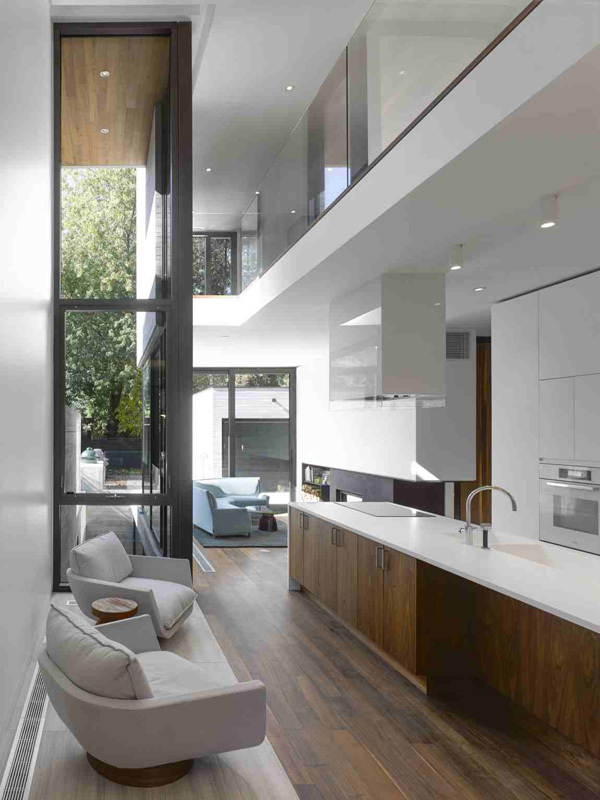 Nowadays we have observed that most of the modern house design tends to connect the location or consider the environmental factors to have a sustainable and comfortable house to live in. Many designers indeed tend to integrate the natural resources in the chosen location of the client to maintain the relaxing space and at the same captivated views they would love. 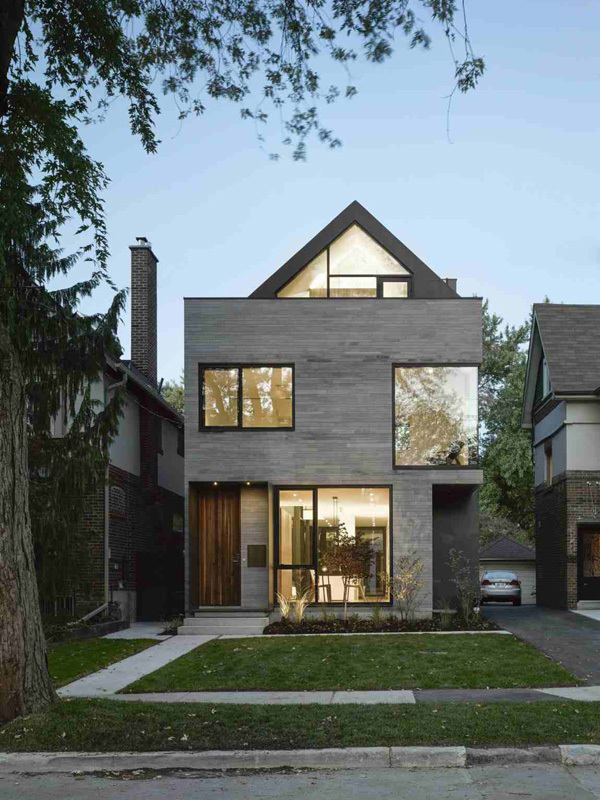 Today we will be sharing to you a house design in Toronto, Canada. 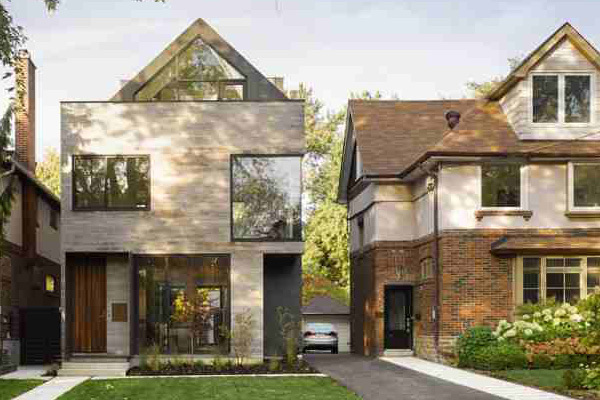 This is called a Moore Park Residence and completed in 2013. 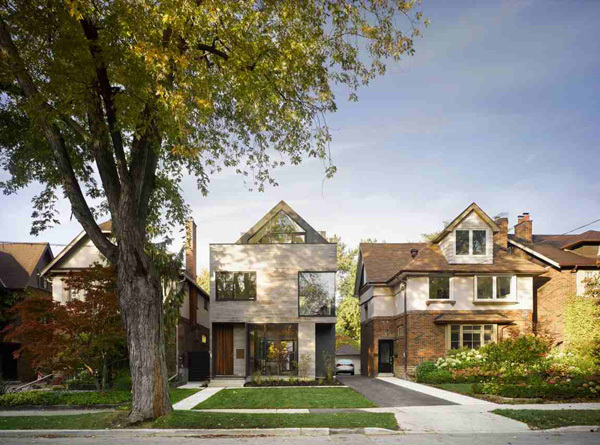 This is actually an infill house that represents the first tear-down replacement on an established street that shows a 1920s era single family homes with mutual drives. As you can see in the outdoor area the landscapes alleviates the essence of storm water management issues which associated with the block. Let us explore more of the images as it shows the details of the indoor and outdoor below. 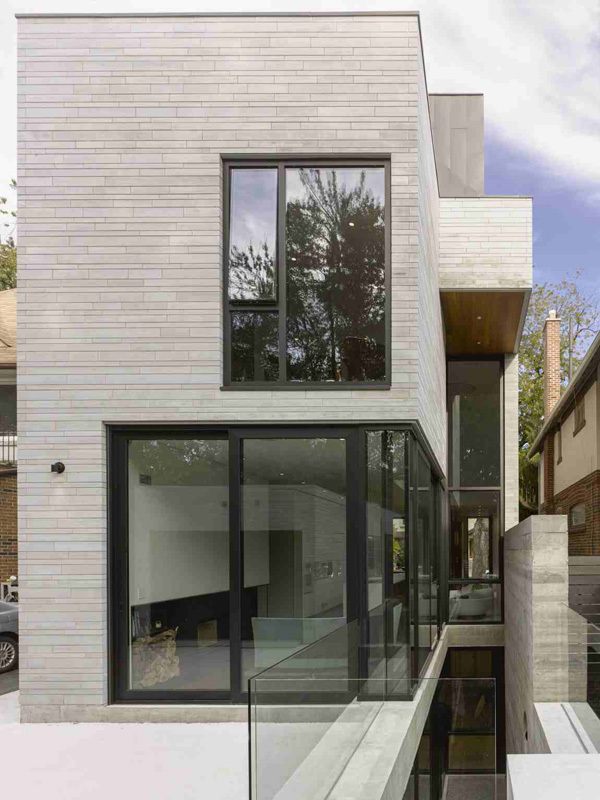 Take a look at the contemporary design from the materials utilized to make this three-storey building charming and unique. See the combination of rough and smooth texture utilized in the exterior that proves the artistic wit and skills. 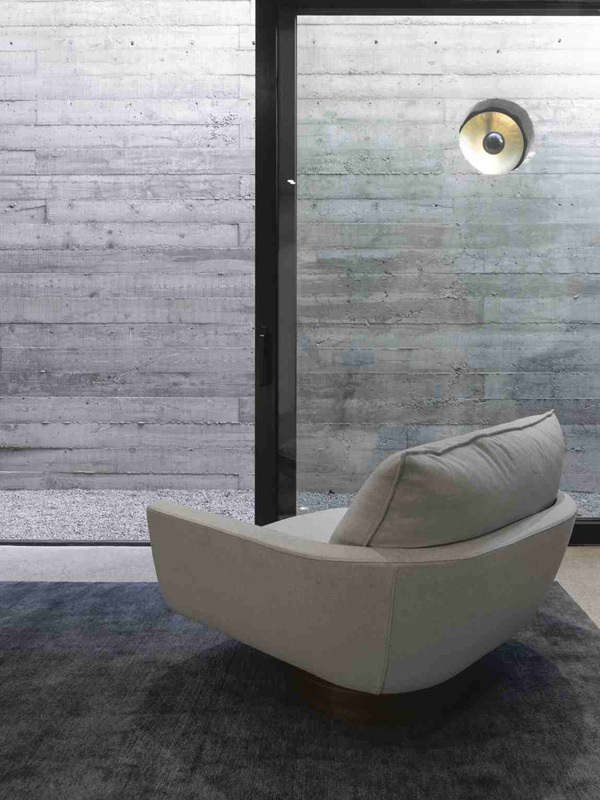 Here’s the flawless texture of the glass materials that contrasts with the texture of the concrete walls of this building. 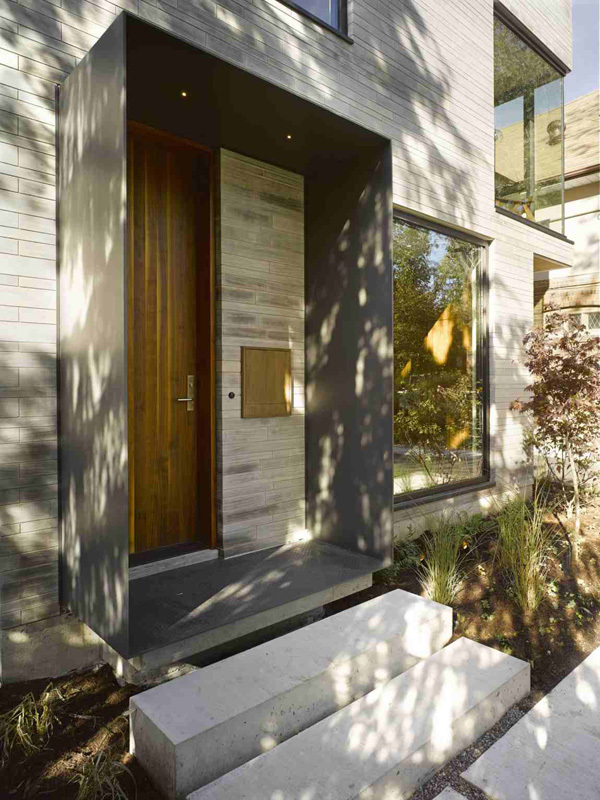 Shapes and forms are visible even in the entrance that certainly captures the attention of the client’s guest as well. A limited space for a living room like this may still look spacious because of the glass materials utilized on the other side of the wall. Soft and comfortable beige chair set in the living area is enough to allow the client to enjoy the relaxing space and surrounding. 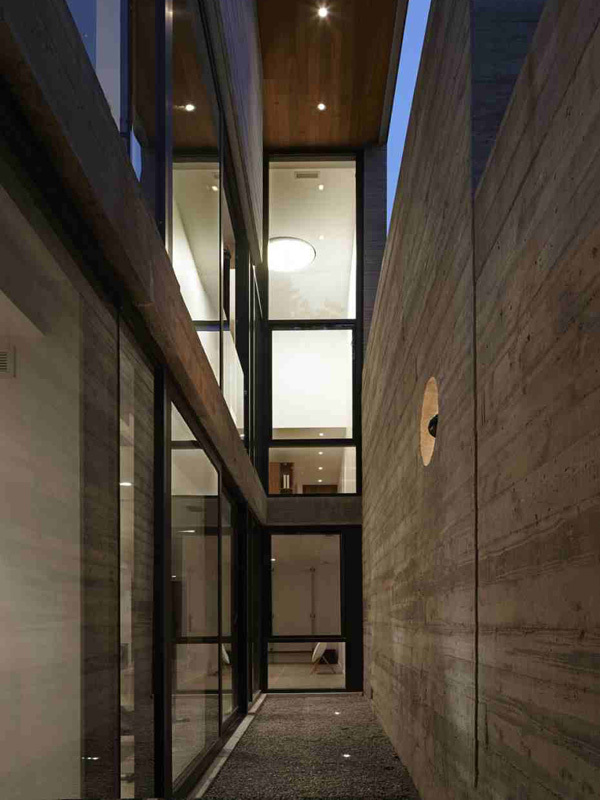 The sustainable light can easily access the indoor for its glazed walls. Clean tables and cabinets are utilized here improved its concept and become more charming. 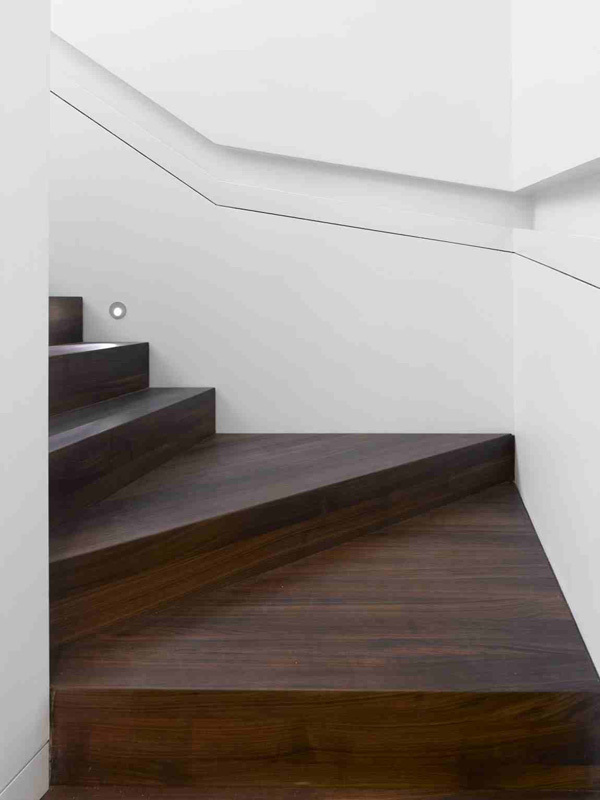 Let us carefully see how the designer choose the wood material for the staircase. 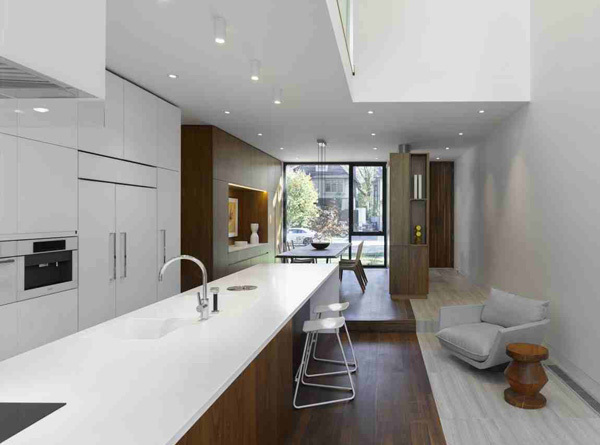 Limited space for the kitchen area can still prove its capabilities to show the complete modern concept and style. At the second level of the house, you can still witness how the designer designates the furniture into its amazing place. Colorful pillows are very effective to keep comfort and great style in this fashionable bedroom. 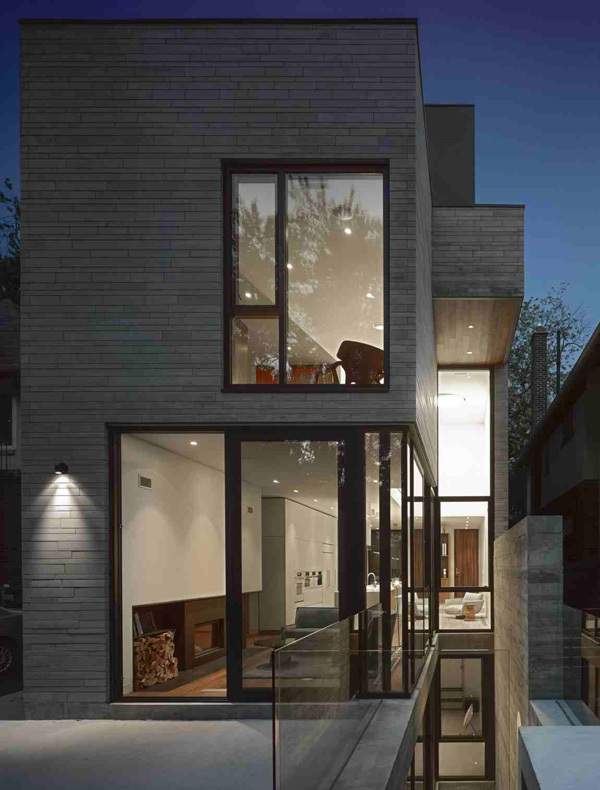 Even at night the amazing features of the exterior are well displayed and emphasized here. The LED lights installed in the interior as well as the exterior may efficiently expose its enchanting areas especially at night. 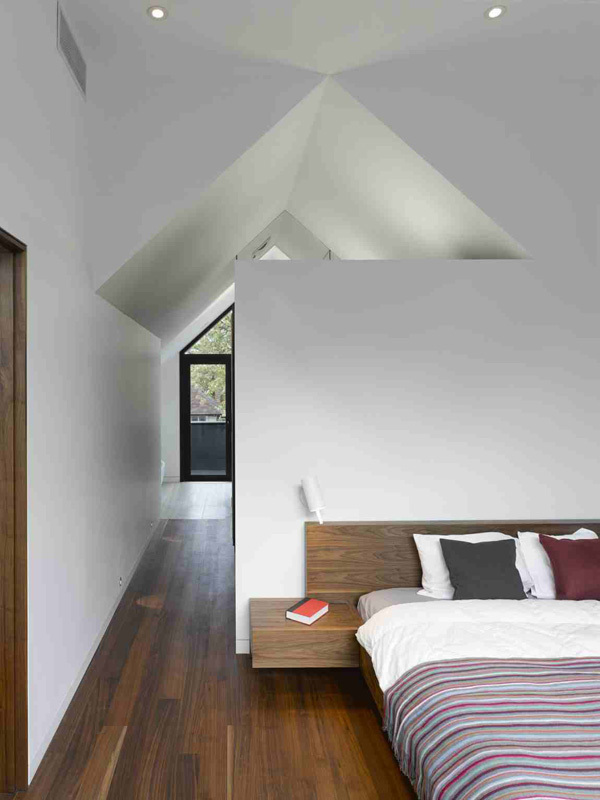 Extraordinary shapes and elements used enhance the limited and available space in the house building. As we can see the simple interior and outdoor design of the house, we can say that the designer deserved to win the 2014 design. What I really like the most in this house is how the designer created a complex figure-ground or mass-to-void relationship. 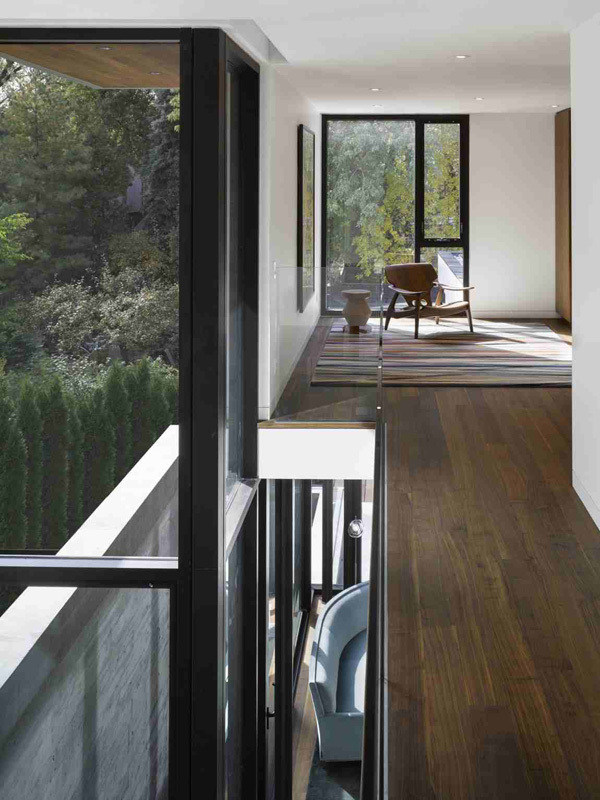 This building is always accessible to natural light and shadowed by a board-formed concrete wall, transparent partitions, and interconnecting voids spaces. 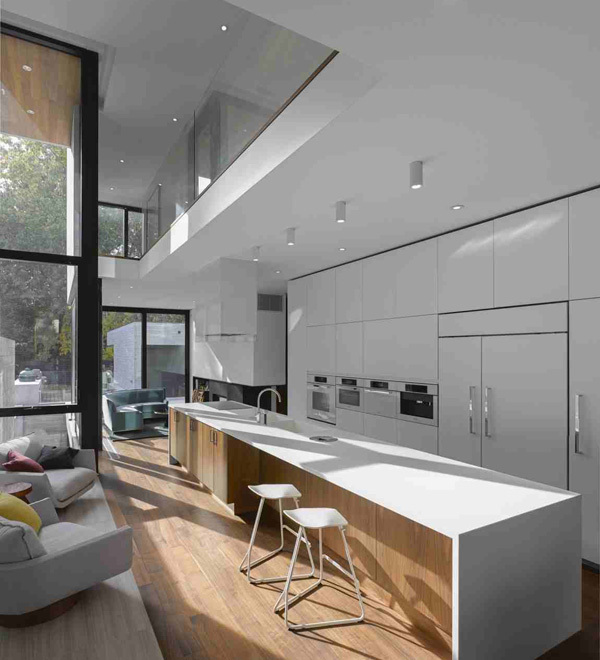 The Drew Mandel Architects successfully designed the Moore Park Residence on the street that is related to its neighboring homes.